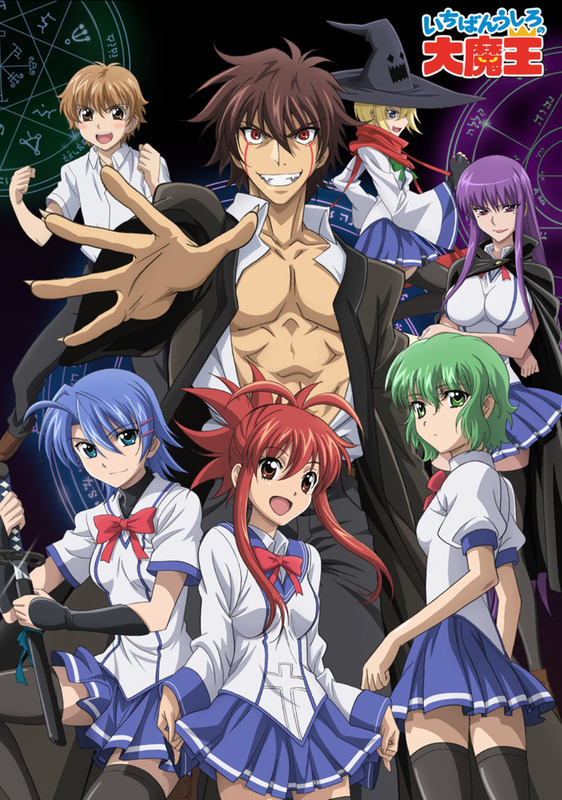 Demon King Daimao originally started airing back in April 2010 and concluded in June. The plot centres around Akuto Sai, a new transfers student to Constant Magic Academy who dreams of doing his best to better the world. Upon arrival, he meets Junko Hattori, a member of a proud ninja clan. Together they promise to make the world a better place for the good and virtuous. Just as Akuto begins to feel at home in his new life, it is revealed that it is his prophecy to become the great and evil Deamon King. It quickly becomes know to the whole school that he will become a being of immense evil and villainy, so naturally, he is completely ostracised. Akuto, determined to not let this prophecy decide his future, sets out to help everyone in any way. Unfortunately, the way thigs work out only seem to reinforce the rumour. My Review: In my opinion, the show starts out really strong. It’s pretty funny and has a fairly interesting world to explore. But as it progresses through the episodes, everything just sort of devolves into one big messy tangle of fighting and character turmoil. For a harem anime, the show’s collection of girls is pretty basic not really progressing further past one or two main character traights that the show settles on. The plot sort of strays away from the original focus, one that I thought was pretty decent and could have gone in many different ways. But in the end, it just goes down a pretty uninspiring pathway centred around the side characters. Popular opinion seem to suggest that the show isn’t too bad but I’d say that it was really only worth watching for the humour, and even that could be a bit dry at times. I remember I watched this but I honestly don’t remember anything else about the show. At least that means it wasn’t horrible but apparently I found it pretty forgettable.